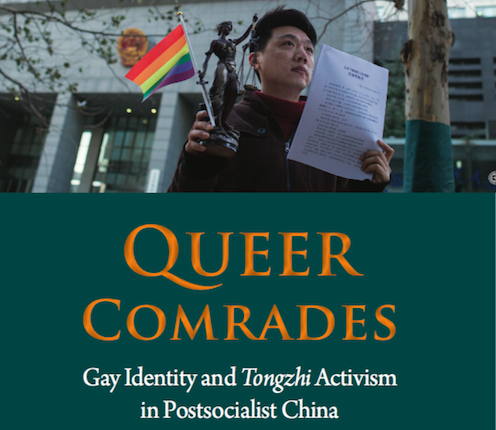 Please join us to launch Hongwei Bao’s new book on queer China, the first book to look at gay identity and queer activism in the People’s Republic of China from a cultural studies perpective. The event is organized by ThinkChina.dk and NIAS. Hongwei Bao’s book is a not just a study of ‘queer China’ through the lens of male homosexuality; it also examines the PRC’s socialist legacy and considers how the country is undergoing rapid transformations under the influence of transnational capitalism. He examines queer films, fiction and personal diaries as well as research within the urban gay communities of Beijing, Shanghai and Guangzhou. Hongwei assesses China’s socialist legacy in shaping sexual identity, queer popular culture and political activism. His intelligence, engagement and sunny humour shine though his writing. Following the book launch, Dr Xiaodong Lin, Department of Sociology, University of York and Dr Mai Corlin, the University of Copenhagen will comment on the book. Following the discussion, there will be a reception that participants are more than welcome to take part in.